With more publishers of video games putting more emphasis on the base of tablets and larger smartphones, monetization schemes on mobile devices have also grown. Microtransactions are now the norm for these computer devices, which allow players to pay smaller amounts to continue their gaming. 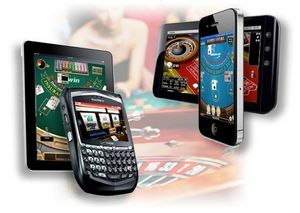 Obviously, land based casinos, as well as other gambling platforms, have been getting a portion of many things for a long time and the same goes for mobile gaming. Recently a new report was released from Juniper Research that showed that in the year 2013, this segment accounted for $10 billion in revenue. Juniper Research made the prediction that the total taken in by 2018 would be a staggering $62 billion annually. Even though gambling bans in the United States keep mobile gaming from allowing everyone to take part in gambling online, Juniper thinks that may not be the case much longer. With these casinos being established in Nevada and New Jersey other states will follow suit and legalize mobile gambling. With microtransaction schemes that already exist developers of the games can still take money from U.S. players even though the ban is in place. Juniper has pinpointed the fact that classic casino games like Poker and slots are some of the highest grossing mobile applications on iOS. These applications, which are totally free to play, may pressure apps that are monetized to give players a better gambling experience than they would normally.